The holidays are a time for friends, family, and co-workers to come together in celebration. Wherever you are—whether at an office party, a family member’s home, or out at the bar—it is essential that you make the lifesaving choice to drive sober when the party ends. To help spread the message about the dangers of drunk driving, the Grand Isle County Sheriff’s Department is partnering with the U.S. Department of Transportation’s National Highway Traffic Safety Administration (NHTSA) to get drunk drivers off the roads and help save lives. The national high-visibility enforcement campaign, Drive Sober or Get Pulled Over, runs from December 13-31, 2018. During this period, local law enforcement will show zero tolerance for drunk driving, as well as drugged driving, which is on the rise. Increased State and national messages about the dangers of driving impaired, coupled with enforcement and increased officers on the road, aim to drastically reduce drunk driving on our nation’s roadways. Sadly, the statistics show that we have a lot of work to do to put an end to drunk driving. According to NHTSA, 10,874 people were killed in drunk-driving crashes in 2017, equating to one person killed every 48 minutes. On average, 10,000 people were killed in drunk-driving crashes each year from 2013 to 2017. That’s the equivalent of 20 jumbo jets crashing each year, with no survivors. In December 2017, alone, 885 people lost their lives in traffic crashes involving a drunk driver. Therefore the Grand Isle County Sheriff’s Department is working with NHTSA to remind drivers that drunk driving is not only illegal, it is a matter of life and death. As you head out to enjoy the holiday festivities, remember: Drive Sober or Get Pulled Over. First and foremost: Plan ahead. Be honest with yourself: You know whether you’ll attend a party. If you plan to drink, plan for a sober driver to take you home. Is it your turn to be the designated driver? Take that role seriously—your friends are relying on you. Remember that it is never okay to drink and drive. Even if you’ve had only one alcoholic beverage, designate a sober driver or plan to use public transportation or a ride service to get home safely. * If you see a drunk driver on the road, contact the Grand Isle County Sheriff’s Department. * Have a friend who is about to drink and drive? Take the keys away and make arrangements to get your friend home safely. During the holidays, and every day, please remember that drunk driving isn’t only illegal, it’s deadly. This Thanksgiving, the Grand Isle County Sheriffs’ Department is teaming up with the U.S. Department of Transportation’s National Highway Traffic Safety Administration on a high-visibility Click It or Ticket campaign to work toward reducing the number of fatalities that occur when vehicle passengers fail to buckle up. Thanksgiving is one of the busiest travel times of the year. With millions of Americans on the road headed to visit friends and family for the Thanksgiving holiday, it is more essential than ever to ensure all vehicle passengers are buckled up. With more vehicles on the roads, the chances of being involved in a vehicle crash increase greatly. For this reason, law enforcement will be patrolling the streets, looking for unbuckled passengers. If they spot you, they will pull you over and issue a ticket. The Click It or Ticket campaign is designed to save lives by making sure all drivers and passengers get the message to wear their seat belts. 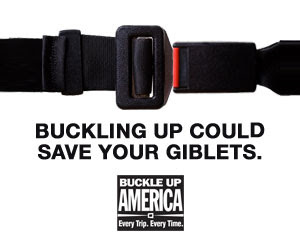 The campaign combines powerful messages about seat belt safety with increased patrolling for all unbuckled motorists. Wearing a seat belt is the single most effective thing to help prevent you from injury or death in a vehicle crash. Tragically, over half of the people who died in a fatal traffic crash during Thanksgiving 2016 were not wearing a seat belt at the time of the crash. During the 2016 Thanksgiving weekend (6 p.m. Wednesday, November 23, to 5:59 a.m. Monday, November 28), 341 people were killed in motor vehicle crashes nationwide. Tragically, 49 percent of those killed were unbuckled, representing a decrease in seat belt use compared to the same weekend in 2015, when 52 percent of those killed in traffic crashes were unrestrained. Nighttime proved even more deadly, with 55 percent of Thanksgiving weekend crashes occurring at night. Much like drunk driving, these deaths represent needless tragedies for families across America. 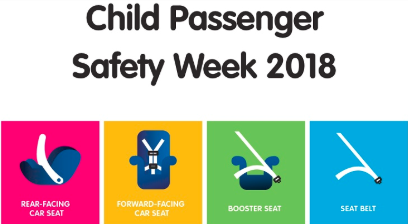 These deaths could have been completely prevented with the simple click of a seat belt. This Thanksgiving and every day of the year remember to please Click It or Ticket. Help us keep you safe! The high-visibility national enforcement campaign, Drive Sober or Get Pulled Over, runs from August 17 through September 3, 2018. During this period, local law enforcement will show zero tolerance for impaired driving. Increased State and national messages about the dangers of driving impaired, coupled with enforcement and increased officers on the road, aim to drastically reduce impaired driving on our nation’s roadways. The Grand Isle County Sheriff’s Department, in conjunction with the State of Vermont Governor’s Highway Safety Program and U.S. Department of Transportation’s National Highway Traffic Safety Administration (NHTSA), will be conducting increased high visibility traffic enforcement to reduce crashes, traffic deaths, injuries, and enforce impaired driving laws to save lives during this campaign. DUI checkpoints will be conducted throughout this campaign as well as DUI high visibility saturation patrols. Each year, Americans mark the end of summer with the Labor Day holiday weekend, a time to celebrate the hard work and many accomplishments of our country. Friends and families eagerly await pool parties, backyard barbecues, and other occasions to enjoy the last days of summer sunshine. This is also the time of year when our children typically return to school following their summer vacation. Sadly, the Labor Day holiday has also become one of the deadliest, with impaired drivers endangering themselves and others on their way home from these holiday festivities. Statistics prove that we have a lot of work to do to put an end to impaired driving. According to NHTSA, 10,497 people were killed in impaired-driving crashes in 2016. On average, 10,000 people were killed each year from 2012 to 2016—one person killed every 50 minutes in 2016. That’s the equivalent of 20 jumbo jets crashing each year, with no survivors. There is a small, silver lining: During the 2016 Labor Day holiday, 36 percent of fatalities in traffic crashes involved an impaired driver, which was one of the lowest percentages over the five-year period from 2012 to 2016. As of 08/01/2018, 35 people died on Vermont highways compared to 29 deaths at this time last year. Driver impairment, speed, failure to use safety restraints and distracted driving continue to be the leading causes for these tragedies. High visibility enforcement has been the key to success in Grand Isle County evident in minimal law enforcement response to serious injury crashes or fatalities. Please continue to help us prevent senseless tragedies! Each year on July 4th, Americans celebrate the birth and freedoms of this country. Before you head out for your celebrations, make sure you plan for a sober way home. 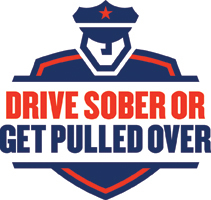 The Grand Isle County Sheriff’s Department is taking part in the Drive Sober or Get Pulled Over campaign during the Fourth of July holiday weekend, June 29-July 5, 2018, to put an end to drunk driving. In support of law enforcement’s dedication to protecting the lives of residents in their communities, you’ll see increased enforcement on the roads with zero tolerance for those who drive impaired. Nationwide, during the 2016 Fourth of July holiday (6 p.m. July 2 to 5:59 a.m. July 6), 188 people were killed in crashes involving at least one driver or motorcycle operator with a blood alcohol concentration (BAC) of .08 or higher. This is a 28-percent increase from 2015, during which 146 people were killed during the same holiday period. That’s 188 families who will forever remember Independence Day with a heavy heart and nightmarish memories. If you see a drunk driver on the road, contact the Grand Isle County Sheriff’s Department (802-372-4482 during normal business hours or 802-524-5993 anytime). Impaired driving is dangerous, even if you’re “just buzzed.” When you drive impaired, you risk your life and safety, and the lives and safety of those riding with you and around you. Does death not get your attention? Maybe money will: A DUI arrest could cost you up to $10,000, not to mention the loss of your vehicle and driver’s license. You could face jail time, higher insurance rates, and hefty expenses from attorney fees, fines, car towing, repairs, and lost time at work. Imagine trying to explain that to your family, friends, or employer. This Fourth of July, commit to only driving 100-percent sober. Don’t lose your independence on Independence Day, and don’t be a deadly risk to yourself and other innocent people. 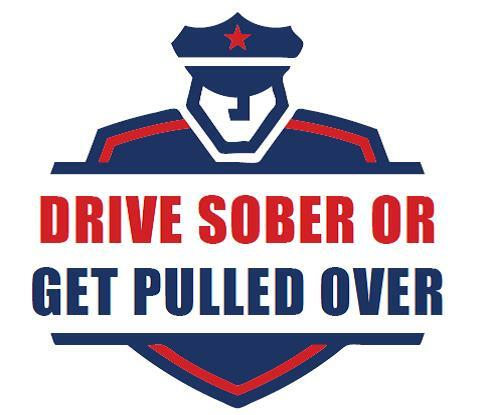 Remember: Drive Sober or Get Pulled Over & Buzzed Driving is Impaired Driving!!! As the unofficial start of summer, the Memorial Day holiday weekend is a busy time for Americans. Each year, the highways fill with families in vehicles, on their way to start their summer vacations. To help keep drivers and passengers stay safe, the Grand Isle County Sheriff’s Department is reminding motorists to Click It or Ticket. Aimed at enforcing seat belt use to help keep families safe, the national seat belt campaign will take place May 21 through June 3, concurrent with the busy travel season. The Grand Isle County Sheriff’s Department is pleased to announce the 16th Annual Sheriff’s R&R (Respect & Responsibility) Summer Camp. R&R Camp is a 5-day (8:00am– 4:00pm) adventure based program involving team building activities, water activities, and a rope course. R&R Camp emphasizes respect for self and others, and taking responsibility for one’s actions. Issues facing young adults and dangers associated with alcohol, drug and tobacco use will be discussed. Camp is limited to students currently enrolled in 5th through 7th grades who will be age 14 or younger on 7/1/18. Only children that reside full time in Grand Isle County are eligible to attend. Mandatory final registration and an informational meeting are scheduled for Sunday, July 15, 2018 at 5:00pm at the Folsom School in South Hero. The camper must attend the final registration meeting with a parent or guardian. The cost of the camp is $50.00 per camper. Breakfast and lunch will be provided daily. Transportation to and from Folsom School will be available at each town’s elementary school. The camp will be based out of Folsom School and the campers will travel to various locations via bus to the day’s planned activities. Registration Forms will be available on April 17, 2018 at grandislesheriffvt.org and in The Islander newspaper. Registration is required along with the registration fee by May 11, 2018. Registration is limited to 50 campers. Camp slots will be filled on a first come-first served basis with a completed Registration Form and payment. Camp usually fills within one week so submit your application as soon as possible. A waiting list will be compiled. Camp correspondence will be conducted through email. Please provide a valid email on your Registration Form. An information packet and camp schedule will be emailed to all campers prior to the start of camp. If you have questions concerning the camp, please feel free to contact Lt. Donna Polk or Bridget Campbell of the Grand Isle County Sheriff’s Department at 802-372-4482. Put Your Phone Away or Get Ready to Pay. Distracted Drivers Beware of U Drive. U Text. U Pay. For the past decade, distracted driving has taken the Nation’s roads by storm, endangering not only those who drive distracted, but also those drivers’ passengers, adjacent vehicle occupants, and nearby pedestrians. Distracted driving takes many forms: talking on or manipulating the phone, adjusting the radio, applying makeup, eating, or drinking can all distract a driver from the essential task of safe driving. However, texting is one of the most common, pervasive forms of distracted driving, and too many drivers are succumbing to this deadly—and illegal—habit. That’s why the Grand Isle County Sheriff’s Department is partnering with the U.S. Department of Transportation’s National Highway Traffic Safety Administration (NHTSA) to raise awareness about the potentially deadly risks from texting while driving. From April 12 to 16, 2018, as part of the U Drive. U Text. U Pay. campaign, law enforcement will be watching closely for distracted drivers. According to NHTSA, 3,450 people were killed in motor vehicle crashes involving distracted drivers in 2016. In 2016, 9.2 percent of fatal crashes in 2016 were reported as distraction-related. Texting while driving has become an especially problematic trend among millennials. According to NHTSA, young drivers 16 to 24 years old have been observed using handheld electronic devices while driving at higher rates than older drivers since 2007. Nine percent of drivers 15 to 19 years old who were involved in fatal crashes were reported as being distracted at the time of the crash in 2016. This age group has the largest percentage of drivers who were distracted at the time of a fatal crash. Handheld cellphone use while driving is highest among 15- to 29-year-old drivers, but female drivers are most at-risk for being involved in a fatal crash involving a distracted driver. Female drivers with a cell phone have been more likely to be involved in fatal distracted-driving crashes as compared to male drivers every year since 2012. If you are expecting a text message or need to send one, pull over and park your car in a safe location. Once you are safely off the road, it is safe to text. Cell phone use can be habit-forming. Struggling to not text and drive? Put the cell phone in the trunk or back seat of your vehicle until you arrive at your destination. St. Patrick’s Day is one of the most popular holidays in the United States. St. Paddy’s Day is heavily celebrated by most Americans with friendly pinches and green beer galore. Sadly, all this merry-making can lead to dangerous driving conditions as party-goers head home. In 2016 alone, 60 people were killed in drunk-driving crashes over the St. Paddy’s Day holiday period (6 p.m. March 16 to 5:59 a.m. March 18). The selfish act of drinking and driving can rip people from their friends and loved ones forever. For this reason, the Grand Isle County Sheriff’s Department is working to spread the message about the dangers of drunk driving. Even one drink can be one too many. If you’re heading out for the Irish festivities, plan ahead and remember: Buzzed Driving Is Drunk Driving. Kickoff on America’s favorite pastime is just about ready to start. For many football fans, when it’s time for Super Bowl LII, everyone’s a fan…and Fans Don’t Let Fans Drive Drunk. The Grand Isle County Sheriff’s Department and local law enforcement officials are huddling up with the National Highway Traffic Safety Administration for a special Fans Don’t Let Fans Drive Drunk reminder to urge football fans across the nation not to drop the ball on this issue. In all states, drivers are considered alcohol-impaired if they have a blood alcohol concentration (BAC) of .08 or higher. Drunk driving can be deadly, and even small amounts of alcohol can impair judgement to make driving unsafe. In 2016, there were 10,497 fatalities in motor vehicle traffic crashes involving drunk drivers. Among the 10,497 alcohol-impaired-driving fatalities, 67 percent (7,052) were in crashes in which at least one driver had a BAC of .15, almost twice the legal limit. Be sure to have a game plan for the night so friends and family know who the designated driver is. Please give your keys to a sober driver – our vote for game MVP – before you begin drinking. Sober designated drivers should be sure to carry the ball and refrain from drinking alcohol. This Super Bowl weekend, be a team player and help keep impaired drivers from getting behind the wheel. Don’t fumble! Designate your sober driver before the big game begins. And remember: Fans Don’t Let Fans Drive Drunk.